The human immune system is very protective of its territory meaning the human body. Allergic reactions especially to food is one of the many ways the immune system does it job. When a person takes in any kind of food that the body considers a threat or a “trespasser”, the immune system goes to work by causing an allergic reaction. An allergic reaction is a symptom cause by the released chemical of the immune system; this symptom can be from a simple skin irritation to a more life threating constricting of the air passage which can eventually lead to one’s death. For clarification, there is a difference between food allergy and food intolerance. Though many people may claim to have allergic reaction to certain food they maybe mistaken because food intolerance may also show same symptoms as a food allergy where in both are reactions to sensitivity to food but the big difference between the two is that in food intolerance it does not affect the immune system thereby not life threating unlike the latter. In food allergy, the immune system will react by producing antibodies. Currently, the professionals in the medical world have not been able to find any treatment or cure for food allergy. For now most doctors would recommend allergy management which is the modification of diet or avoiding intake of food allergens. In general, those afflicted with allergies will only react to some allergy-causing foods. 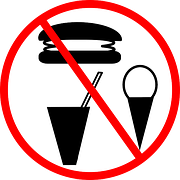 Sometimes, being allergic to a certain kind of food may also cause an allergic reaction to same food group or related foods. For instance, an allergic reaction to cow’s milk may also cause an allergic reaction when drinking goat’s milk or being allergic to wheat will also give an allergic reaction to rye or allergies to pollens will also give the same reaction to green apples, almonds, peaches and hazelnuts. This is known or called cross-reaction. Moreover, those who are afflicted with eczema and/or asthma also have a higher risk of acquiring or developing food allergy and even worse is the fact that their reactions to food allergies would be more severe compared to those who only have food allergies to deal with. Unlucky are individuals with asthma and/or eczema because when they suffer food allergy they can be under stress which would eventually trigger their asthma and/or eczema which will worsen the whole situation. Although, there is no cure to allergies, with vigilance and self-discipline the allergy-sufferer will have a chance in overcoming these food problems. There may be some medicine or medications that can alleviate the symptoms but a consultation with a physician will give you a better understanding to your allergy problems as well as treatment recommendations. Since at present there is still no cure for food allergy, the only thing allergy-sufferers can do is be vigilant and have self-discipline and use medications that can alleviate the symptoms.